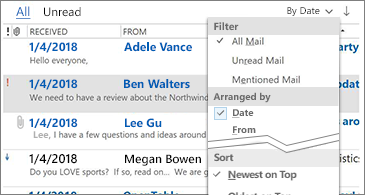 As an Office 365 subscriber, you get new and improved Outlook features regularly. 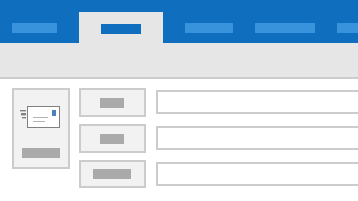 Take a look below to see what's available to you today. 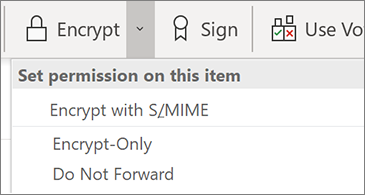 Manage the security of your email messages by setting the appropriate level of permission using Options > Encrypt. 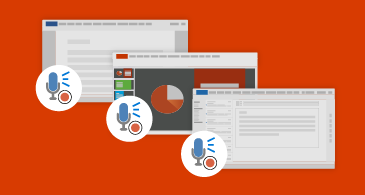 When text or static images just won't do, use an animated GIF to make your point. 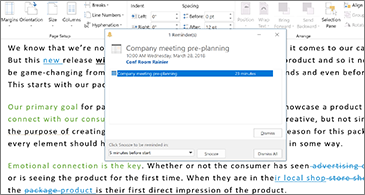 Give attendees time to catch their breath or travel between locations by setting meetings to end 5-10 minutes early by default. 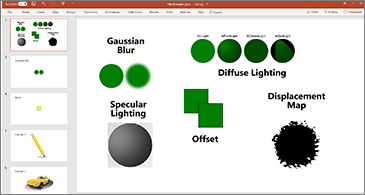 See what's new in the November update, Version 18.11 (11029.20079). 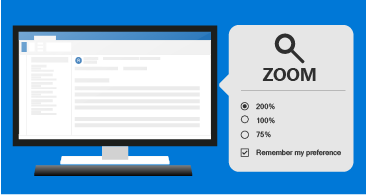 Instead of adjusting Zoom each time, you read a message, choose a default setting to use for all your messages. 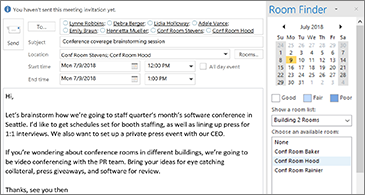 Look for a conference room using more than one room list — and switch lists without losing room you've selected. 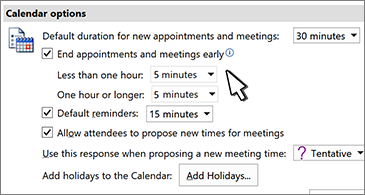 See recommendations for attendees to add when you schedule a meeting. 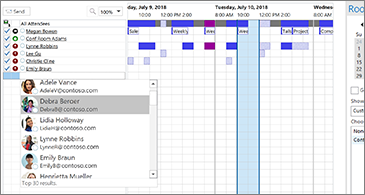 No more switching back and forth between the Scheduling Assistant and the To line. 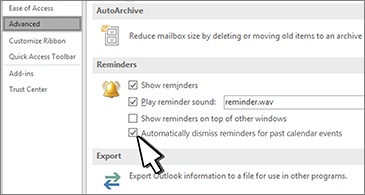 You can set your calendar to automatically dismiss reminders for events after they've ended. 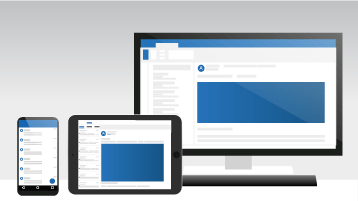 Try out new user experiences before they are released broadly and let us know what you think. 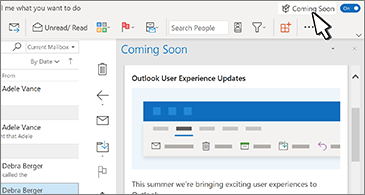 See what's new in the August 2018 feature update, Version 1808 (Build 10730.20088). 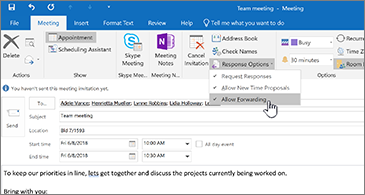 Prevent attendees from forwarding your meetings to others. 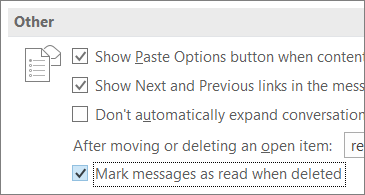 Just go to the ribbon and click Response Options. 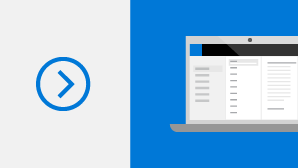 See what's new and improved in the June 2018 feature update, Version 1806 (Build 10228.20080). 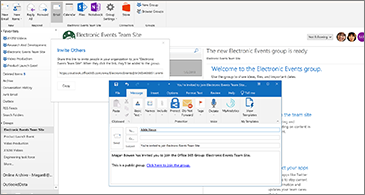 Invite others to join a group by sharing a URL or sending an email with an embedded link. 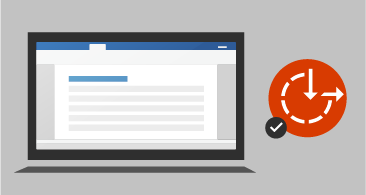 See what's new and improved in the May 2018 feature update, Version 1805 (Build 9330.2087). We heard you! 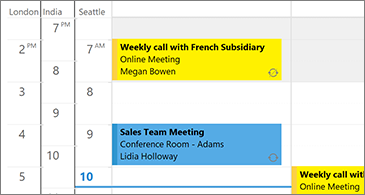 Sharing your calendars is simpler, and calendars shared from Outlook Desktop are now also available in Outlook Mobile. 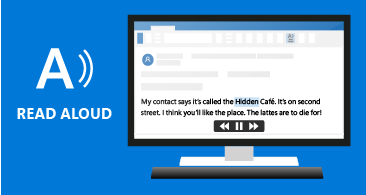 Stay productive and remain timely in the office and on the go! 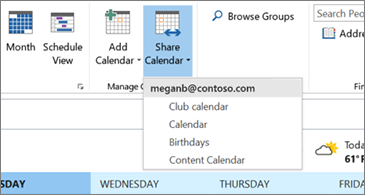 See what's new and improved in the April 2018 feature update, Version 1804 (Build 9226.2114). 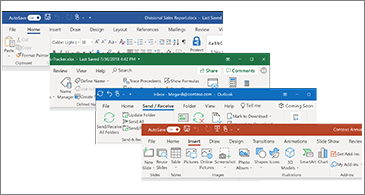 See what's new and improved in the March 2018 feature update, Version 1803 (Build 9126.xxxx). 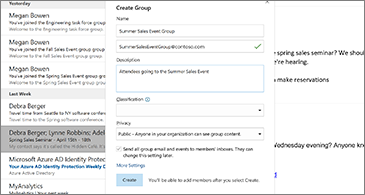 Creating a group is easier than ever. Just provide the basic information and we'll take care of the rest.